While studying for his A-Levels in 2009, George Burgess became frustrated by the poor quality of educational apps available. With the support of his teachers and encouraged by feedback from classmates, he set about creating a self-test exam preparation app for mobile devices, and the seeds of Gojimo were well and truly planted. The years since have seen George’s various developed apps rebranded with over $1 million (£650,000) invested, and launched at the 2014 BETT show as a complete one-stop package. Gojimo now helps students from the UK with GCSEs and A-Levels, the US with SATs, and internationally with IGCSEs and the IB diploma, to cite just a few examples. As a key element of revision and exam preparation, Gojimo hosts over 160,000 questions across more than 15 subjects and different qualifications. The questions are all fact-checked by teachers, and come complete with in-depth answer explanations as well as links to further reading. Students can track their progress on quizzes from within Gojimo to get overviews of their improvements. External publishers have come on board too, and Gojimo hosts premium content from the likes of Oxford University Press and McGraw-Hill Education with more on the way. The expanded Gojimo team has stayed true to George’s original vision, however, and the app is aimed for free towards helping as many students as possible, with premium content offered as added extras. Gojimo has become an indispensable revision tool – especially in 2015 – helping 250,000 monthly students in the UK through the smartphones and tablets that they use every day. 15% of all GCSE students use the app, and 90% intend to use it again for their A-Levels. If you know a student currently in school, ask them to take a look at Gojimo on the Google Play and Apple app stores. 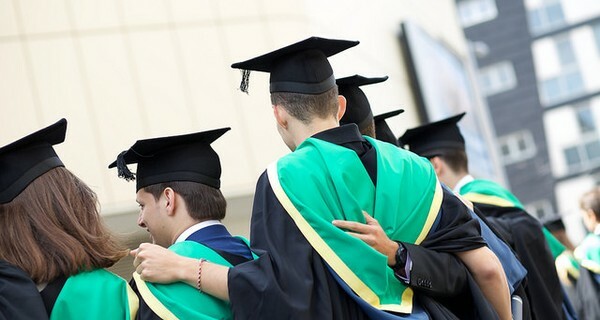 Image 'NTU Graduation Week 2014' courtesy of Nottingham Trent University.